Keep your pet well fed while you're away. 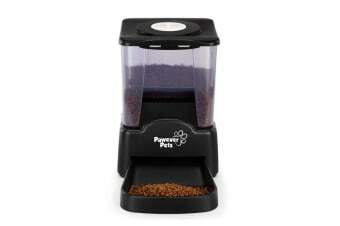 Ensure that your pet is fed the right portions at the right times with this Automatic Pet Feeder. Your pet will never go hungry whether you’re gone for 1 day or 99 when you have the Pawever Pets 10L Automatic Pet Feeder! With easily programmable portion sizes and feeding times, this automatic pet feeder ensures that your beloved pet receives the right amount of food at the right time. And the best part – you can record personal messages calling out to them to come and get the goodies! 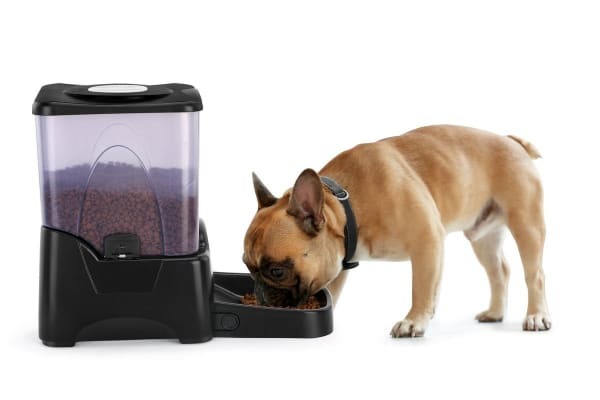 This amazing pet feeder seems to have thought of it all! 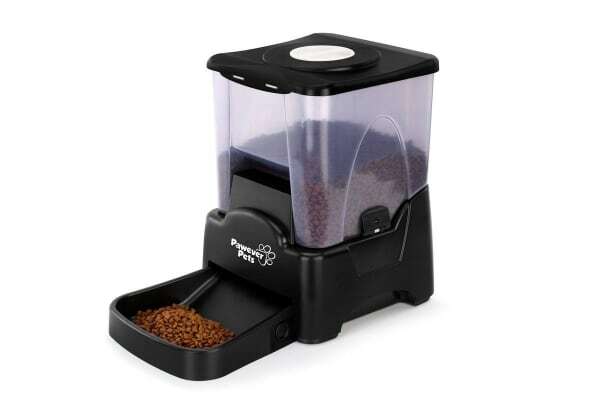 Now, you can have peace of mind when you’re out on business or work, knowing that this practical and reliable Pet Feeder will take care of feeding your pet in your absence.